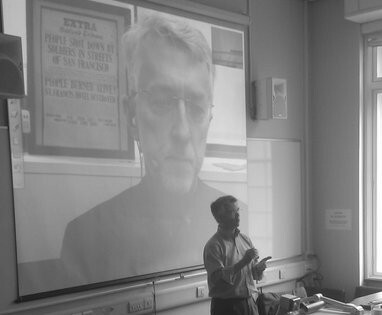 Journalism is labouring under a business model based on entitlement and emotion, not economic reality, said leading media commentator Jeff Jarvis today at City Unversity’s Sustaining Local Journalism conference. We need to understand the business model. I’m tired of the argument that journalists ‘should’ be paid, what successful business model was ever built on the word ‘should’? Virtue is not a business model, just because we are doing good things that doesn’t mean we should be paid. He said it was a model in need of disruption. Some of my colleagues don’t like it when I use that term, disrupt. But welcome to the jungle. We are a business that has to add value to the community in order to extract value back. He only elaborated properly on the last of these, saying that individual bloggers are usually too small to interest city-wide advertisers but grouping together in a network can make them much more of a force to be reckoned with. “When it comes to journalism, he said, “we are better off doing things together”. Philip John, director of the Lichfield Blog, blogged in March about the need for hyperlocal sites to build networks, writing that they bring about “a sort of collective consciousness whereby an improvement to one site is an improvement to all”. With the likes of Addiply founder Rick Waghorn and Talk about Local’s Will Perrin acknowledging earlier in the day that just turning a profit as a local or hyperlocal blogger in the UK was rare, it was surprising to hear Jarvis talking about local blogs in US cities of 50,000–60,000 turning over $200,000 a year. Jarvis admitted that is was a hard slog for hyperlocal sites to bring in ad money, but argued that there was a return in building networks. Giving AOL’s huge hyperlocal network Patch as an example, he said Patch was hiring a journalist for each of it 150 sites and paying them $40,000 a year. AOL wouldn’t be doing that if it didn’t think there was ad money there. 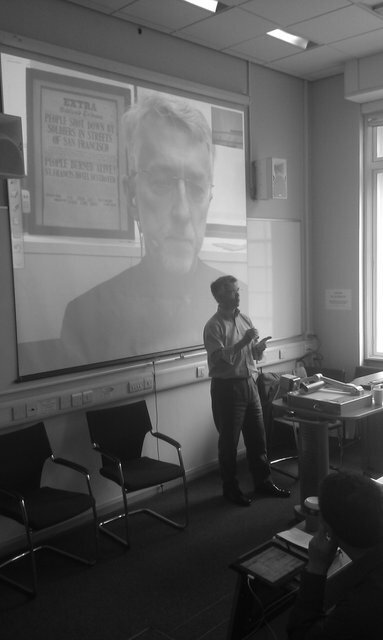 Asked whether journalists should be concerned about conflating journalism and sales – a recurring theme of the conference – Jarvis cited the example of Rafat Ali, founder of paidContent, who he said “had to go out and sell the ads at first, but retained his own moral compass”. “It is probably our job as educators to guide students in these things”, he said, adding that in the end it is all down to credibility, which can be maintained even if a journalist is pitching in with the business side of things. Maintaining credibility is vital, he warned. 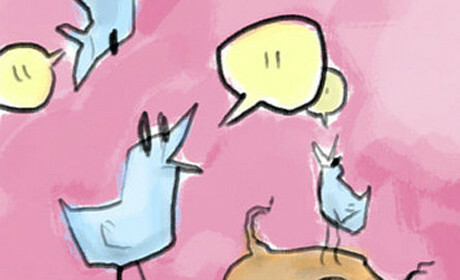 You can see a Chirpstory of some of the best tweets of the day at this link. This entry was posted in Advertising, Business, Hyperlocal, Local media, Online Journalism and tagged #citylocal, Advertising, Business, Hyperlocal, Jeff Jarvis on May 13, 2011 by Joel Gunter. Marketing Week reports national newspapers across the UK are to join together to provide brands “with a collective advertising package that will see them sell ads on their own and rivals’ titles for the first time”. Simply choose a package to suit your target market and budget. In return, during the two week tournament, when all eyes will be on news from SW19, the NMA and the national newspapers that make up the NMA membership will serve you space alongside the cream of tennis journalism; in print or online. This entry was posted in Advertising, Editors' pick, Newspapers and tagged Advertising, brands, newspaper marketing association, Newspapers, Wimbledon on April 7, 2011 by Rachel Bartlett. The Daily Mail and General Trust (DMGT) says its regional publisher Northcliffe will “tap its LocalPeople hyperlocal network” in an attempt to reach more advertisers online, paidContent reports. According to the group’s preliminary results published yesterday, Northcliffe recorded several declines in the year ending October 2010, with underlying revenues down £16 million (six per cent), reported revenues have dropped by 8 per cent and advertising revenues were also down by 7 per cent. Presenting the results yesterday morning, CEO Martin Morgan told investment analysts that the group is “trying to give ourselves a good shot at capturing local information markets”, paidContent reports. “We’re going to be taking the technology platform we’ve built (for LocalPeople) and merging it with the ThisIs sites,” Morgan told analysts. “So local people can concentrate on finding a garage, finding a plumber in such a way that provides a long tail of local advertisers – people who aren’t advertising in the local press, we think we can get them in. This entry was posted in Advertising, Business, Editors' pick, Local media and tagged Advertising, classified, DMGT, Local media, Northcliffe on November 26, 2010 by Rachel Bartlett. Underlying digital revenues from newspaper websites owned by the Daily Mail and General Trust (DMGT) increased by 54 per cent in the year ending October, due to the “growing success of its primary website, Mail Online” according to the group’s preliminary results published today. According to the published reports, circulation revenues at the group’s Associated Newspapers titles, which includes the Daily Mail, the Mail on Sunday and Metro, fell by an underlying two per cent while underlying advertising revenues were up seven per cent, said to have been driven by a “strong performance” from Metro. Both the Daily Mail and Metro recorded their highest ever operating profit, the report adds. DMGT’s regional arm Northcliffe recorded several declines, with underlying revenues down £16 million (six per cent), reported revenues have dropped by 8 per cent and advertising revenues were also down by 7 per cent. Northcliffe: facing another tough year; UK advertising revenue in the first seven weeks down 7 per cent on last year, continuing year‐on‐year trend experienced in September (like‐for‐like decline of 8 per cent). Outlook for first quarter not expected to improve on this trend; will also be affected by higher newsprint costs; focus remains on reducing costs and new revenue opportunities. Note: Underlying revenues are those adjusted for acquisitions and disposals made in the current and prior year. This entry was posted in Advertising, Business, Editors' pick, Online Journalism and tagged Advertising, Business, Daily Mail & General Trust, financial, Metro, Northcliffe, revenues on November 25, 2010 by Rachel Bartlett. Increases in customer publishing and digital revenue have helped magazine publisher Future get “back on track”, according to the company’s preliminary results for the year ending 30 September. In the report, published today, Future claims that its overall revenues have declined by 1 per cent on last year, with net debt reduced by more than 50 per cent. The publisher adds that its US business has returned to profit while customer publishing revenue has grown by 43 per cent in the last 12 months. Advertising revenues declined by five per cent overall, but individually online advertising (which makes up 25 per cent of the advertising revenues) rose by eight per cent. In the report Stevie Spring, Future’s chief executive said the results show the publisher is back on track. We’ve returned our US business to profit – a key goal for the year. And made good progress against our strategic priorities – adapting and investing in our business to meet the needs of a rapidly changing content landscape. Consumer confidence is still fragile on both sides of the Atlantic, so our outlook for 2011 must remain cautious even though we’ve seen an encouraging 5 per cent growth in the second half of 2010. This entry was posted in Business, Editors' pick and tagged Advertising, Business, Future, Magazines, revenues on November 24, 2010 by Rachel Bartlett. Towards a hyperlocal business model? Using data from OpenlyLocal, Greenwich.co.uk publisher hyperlocal.co.uk has created a map showing the concentration of hyperlocal websites in the UK. Hyperlocal may be a word that is too freely used: is a city-based website hyperlocal? Or should it be postcode- or street-based? Then again, why decide? 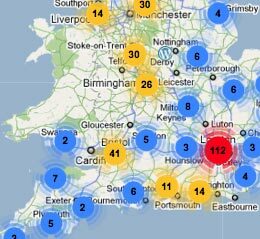 Hyperlocal.co.uk’s map shows the huge range of ‘hyperlocal’ sites operating in the UK and where such local media is currently lacking. Compare this with a map from advertising solution Addiply of all its hyperlocal clients – ranging from independents to networks like the new STV local offering and Guardian Local. If the number of markers on this map grows, hyperlocal publishers will be able to see their network growth to lure more advertisers, particularly those bigger brands that buy digital ad space UK-wide, but which have media buyers operating from a central office. While we’re on the subject of hyperlocal sites finding new commercial opportunities, it’s worth mentioning hyperlocal pioneer The Lichfield blog, which in partnership with a local printing co-operative Sabcat Printing has started selling T-shirts from an online shop – Viva LichVegas. It’s something Scottish website GreenerLeith does too – making pounds and publicity, and an interesting experiment in hyperlocal business models. This entry was posted in Business, Hyperlocal and tagged Advertising, Business, business models, Hyperlocal, Local media on November 23, 2010 by Laura Oliver.